You know those lists newspapers recommend during Teacher’s Day? ‘Films based on the role of teachers’, etc., where they will mention films such as To Sir With Love, Black, Karate Kid, etc. Well, add a new film to that list - em>The King’s Speech. It’s a heartwarming, feel-good movie about a king resorting to an ordinary man’s help to overcome a speech disability, so that he can deliver an important speech to his countrymen. The film works because of its performances, witty writing and the character improvisations. 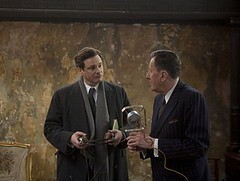 Colin Firth is outstanding, as is his speech therapist, Lionel (played by Geoffrey Rush). On paper, Lionel’s character is certainly far more interesting and this is established in scenes where the screenplay allows him to stand his ground and treat the Duke as a student / patient, than as royalty with whom he needs to watch his manners. Writer David Seidler uses Lionel not only to transform the Duke into a deserving King who can speak his mind, but also to make subtle commentary about the ridiculous customs of the monarchy, its values which have now outstayed their welcome in the 21st Century. The most remarkable quality about his writing is that despite being based on a true story during the World War, Lionel’s approach at dealing with the royalty seems extremely contemporary, rooted in the current times. A special word about cinematographer Danny Cohen’s characteristic wide angles used consistently throughout the film. And that special word is, marvellous. It’s spectacular how the camerawork adapts to the Duke’s speech correction - at the beginning, the wide angles almost bloat up his head every time he is facing the camera, a sign that he is losing his mind, in frustration of his stammering habit exposed to the public. As he embraces Lionel’s controversial methods of treatment, the wide angles slowly disappear and you begin to see a King, chin up. It is Colin Firth’s film, throughout. He is as convincing as a cat that has caught its tongue, and his transition from an embarrassed, nervous wreck, to a man who forges a bond with Lionel and becomes worthy of ownership of his throne, is classic. Mid-way through the film, I thanked my stars (and my tongue) because the realisation dawned that speech, oratory skills and language have been at the core of the greatest resistances and revolutions in history. And they continue to do so. The King’s Speech is undoubtedly a great film, but I do not think it is something you HAVE to watch on the big screen. I usually prefer films that do not require me to pause crunching my popcorn, just so that I have to hear the dialogue clearly. A deserving big screen watch is a film with some element of action, music, adventure or fantasy, that makes the experience immersive. The King’s Speech, largely filmed indoors, doesn’t present any of those attributes - and therefore, in my view, does not command compulsive viewing in theatres, especially not in near-empty ones its playing at, in the on-going World Cup season. I suspect the original DVD may release soon - banking on the Oscar acclaim - and you could have a far more holistic experience, rounding it up with the behind the scenes and how-did-you-pull-it-off interviews with Colin Firth. But before I conclude, I must address a crucial question: Did this film deserve the epitome of Oscar glory this year? My answer is a firm no. Not because it is not a good film - it raises many a chuckle, mostly tongue-in-cheek, but never a WOW. The Social Network, Inception, Black Swan are some films that do make us go WOW, and on many occasions even make us cringe in our seats, shield our eyes and most importantly, forget that there’s popcorn and Coke on the armrest. That’s immersive, in the true sense. 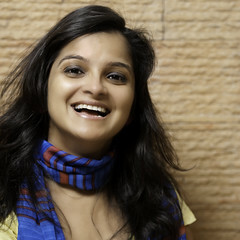 Swetha Ramakrishnan has posted 10 comments and has rated 0 movies. See Swetha Ramakrishnan's page for more details. About Black Swan, Aronofsky, the Oscar hype and the points you mentioned - I use a simple way to evaluate: Did the film stay long in my head, perhaps even on the morning after, and make it difficult for me to get back to normal life? Black Swan did, as did TSN, Inception. For me, The King's Speech just didn't stay long enough. Pardon the next example, but I'll say it anyway: Which film makes me go lost in thought while I'm taking a dump? Unfortunately, I didn't go to those lengths to evaluate Nina's character design. I did 'get' the symbolism, and I think it was easy enough for audiences to comprehend. Btw, I also think the hype around Black Swan and Portman, could have been because her verdict was unanimous amongst audiences and critics, and there weren't equally inspiring performances from the other Best Actress nominees. Arcopol has given this movie a Yay! Thumbs Up(Very good). Arcopol has posted 1 comments and has rated 1 movies. See Arcopol's page for more details. ok guys, the black swan review is published, how about moving this discussion there? Brilliant movie. Impeccable acting, esp. by Geoffrey Rush. The director's attempt to convey, in a subtle way, that the King is no different from a common man and how lonely he often feels was something I liked a lot. Glad it won the Oscar for Best Picture though Inception deserved the Best Screenplay written directly for the screen. Kalyan has given this movie a Yay! Thumbs Up(Brilliant Movie. Must Watch). Kalyan has posted 11 comments and has rated 6 movies. See Kalyan's page for more details.